Properties in Chateau Brun average 4.7 out of 5 stars. Charming guest room in a 16th century listed castle. In the heart of the vineyard! Property 39: Charming guest room in a 16th century listed castle. In the heart of the vineyard! 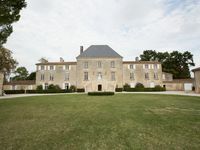 I had a very comfortable, inexpensive stay near Bordeaux and the wine regions of Pomerol, Saint-Emilion and other Bordeaux wine regions. The owners were very friendly and helpful. 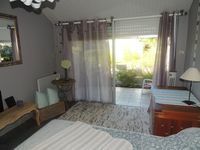 I would recommend this place for an uncomplicated stay in the Bordeaux region. Un s&eacute;jour r&egrave;s agr&eacute;able et pas cher pr&egrave;s de Bordeaux et des vignobles de Pomerol, Saint-Emilion et d'autrs vignobles de Bordeaux. Les propri&eacute;taires &eacute;taient tr&egrave;s gentiles et serviables.